Mount Falcon Park is a wonderful open space park and very close to Denver. The Park is made up of historic structures (such as the summer White House ruins), Scenic Picnic Areas, and a multitude of hiking trails ranging from very easy to very difficult. There really is something for everyone here. Matthews Winters Park borders the ever popular Red Rocks Park (itself a part of the Denver Mountain Parks system). There are two main trails in this park, the Dakota Ridge Trail and the Red Rocks/Morrison Slide Loop, with various spurs and shorter trails. However, these trails can be pieced together for various combinations including a 9 mile marathon that covers the entirety of the park. Steep ridges, rolling hills, and red rock formations make this a very special part of the Jefferson County Open Space system. 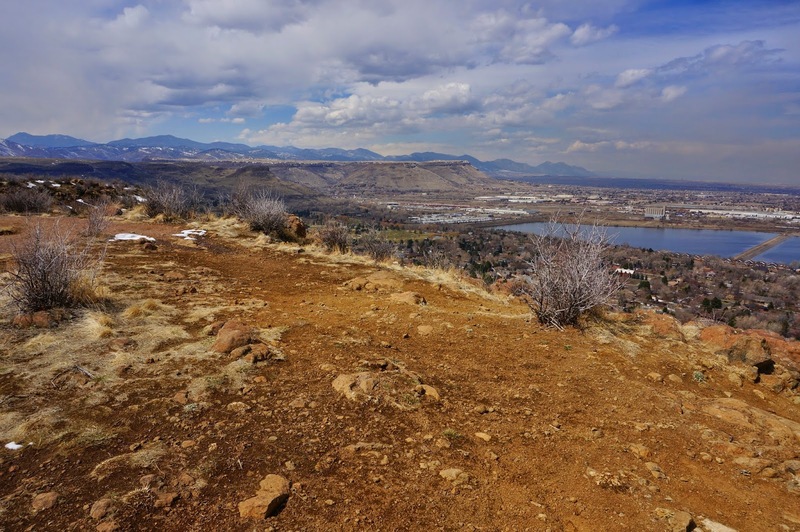 Centennial Cone Park is know for its 12 mile mountain biking loop trail. While this whole loop makes for a long day hike, there are a few shorter hikes in the park suitable for a quick foothills outing. 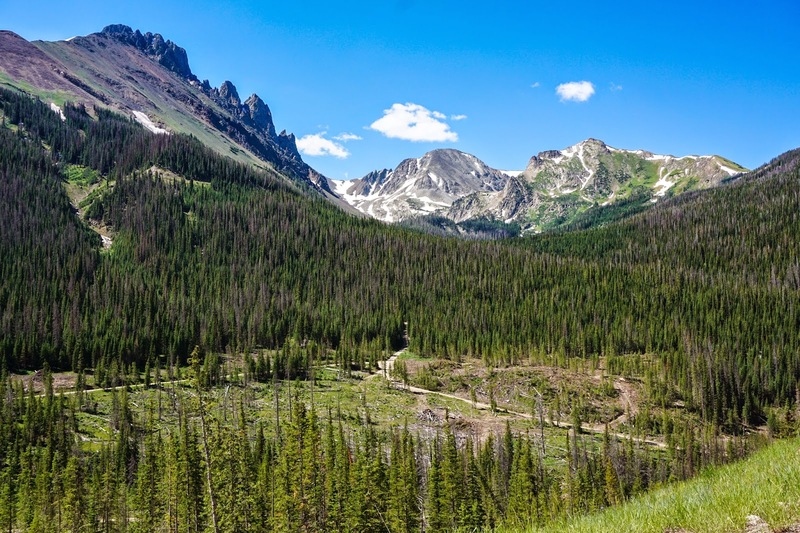 There are two Trailheads one just north of Clear Creek Canyon and the Northern Trailhead is near Golden Gate Canyon State Park. The rolling hills and isolated setting make this a wonderful part of the foothills to explore. Windy Saddle Park is another name for Lookout Mountain. The park has many attractions, for many different types of recreation. Hordes of road bikers slog up and race down Lookout Mountain Road, Paragliders take off from the top and land down by Hwy 6, and there are many wonderful options for hiking. 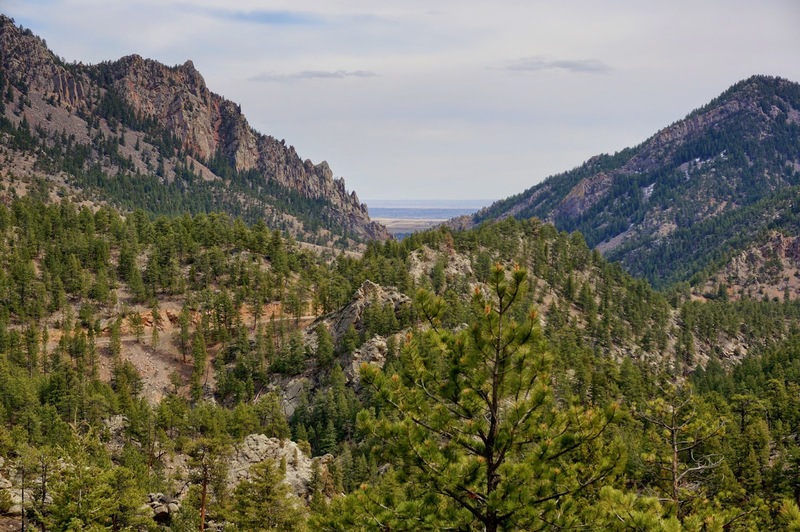 The Chimney Gulch trail is the biggie, but the Beaver Brook Trail starts at the Windy Saddle and ends 8 miles later in Genesee Park (Denver Mountain Parks). Also at the top of Lookout Mountain you can find the Lookout Mountain Nature Center (which has it's own short nature trails) and the Beautiful Boettcher Mansion. 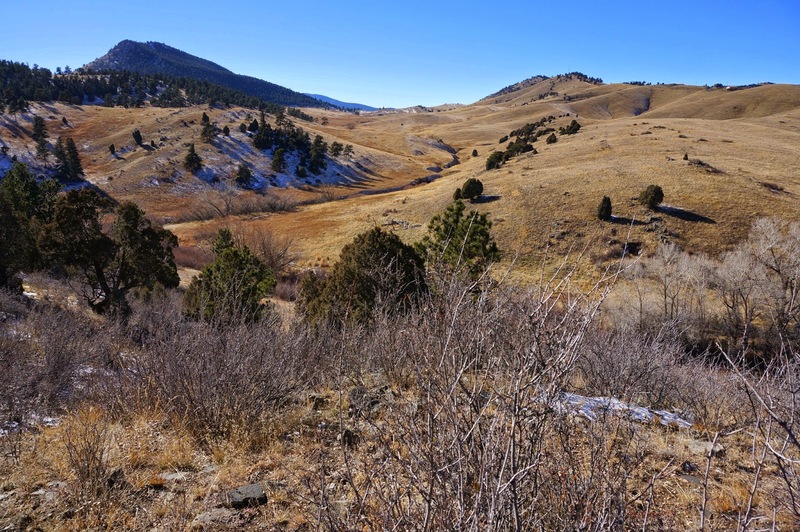 White Ranch Park is one of the crown jewels of the Jefferson County Open Space System. 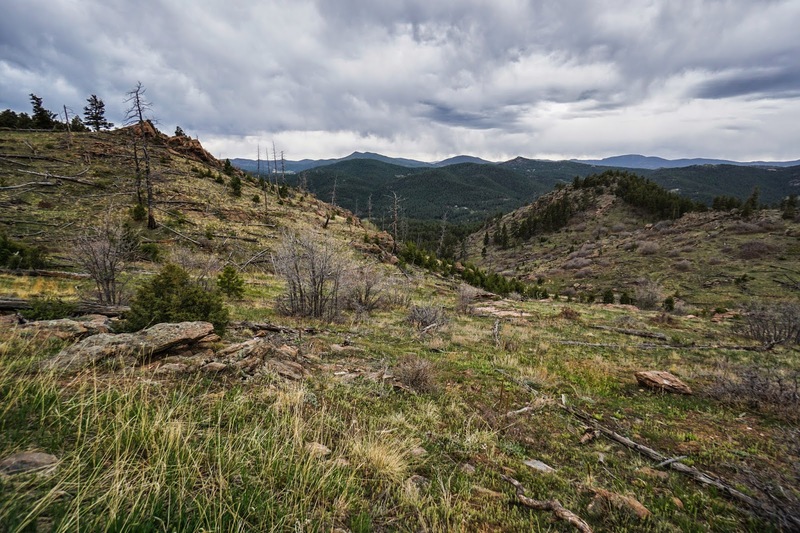 Located west of Golden it is only about 1/2 hour from Downtown Denver to the trailhead. The park has a large and varied system of trails that are enjoyed by hikers and mountain bikers as well. The park basically has three trail systems with interconnections and adds-ons throughout. The northern portion of the park consists of the Rawhide Loop; the east contains a fantastic web of the Belcher Hill and Longhorn Trails; and the Mustang Trail to the south is the least visited, but maybe the most scenic. The options are unlimited but being so close to Denver, you really have no excuse but to explore all the trails White Ranch has to offer. Aldefer/Three Sisters Park is located in Evergreen just west of Evergreen Lake. It is one of, if not the largest of the Jefferson County Open Space Parks. The hiking options are many and they vary from short strolls to long hauls. The iconic Three Sisters are the park's centerpiece but there is much more to this park than just the rock formations. Evergreen Mountain and the Mountain Muly trails make for wonderful day hikes while the short hike to the Brothers Lookout is great for kids. Aldefer/Three Sisters has lots to offer and acres to explore. 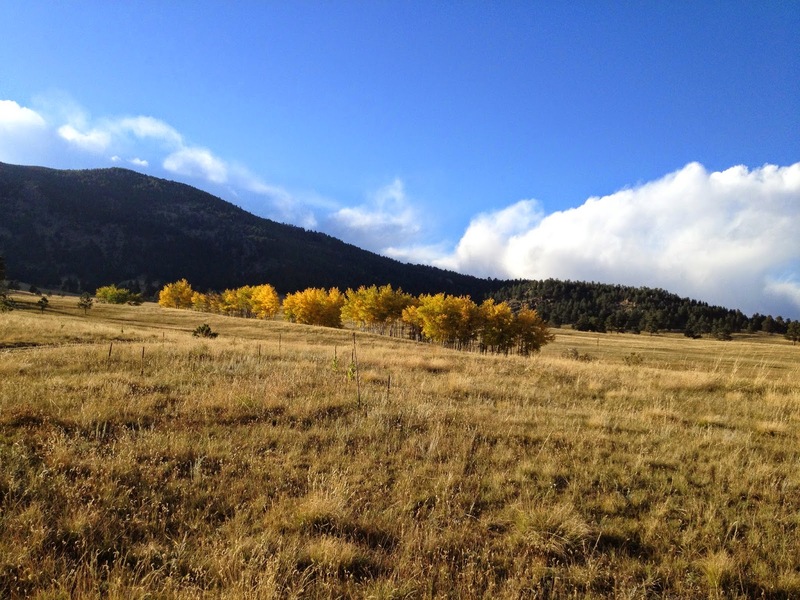 Elk Meadow Park is located on the north edge of Evergreen about 30 minutes from Downtown Denver. The park consists of the eastern flank of Bergen Peak and the large open meadows leading down towards Bergen Park. The main trail system skirts the edge of the mountain and crosses the meadow. The Bergen Peak Trail offers a 10 mile (RT) climb up to a wonderful summit with tremendous views in all directions. This park truly offers hikes of all skill levels and is a centerpiece of the Jefferson County Open Space System. 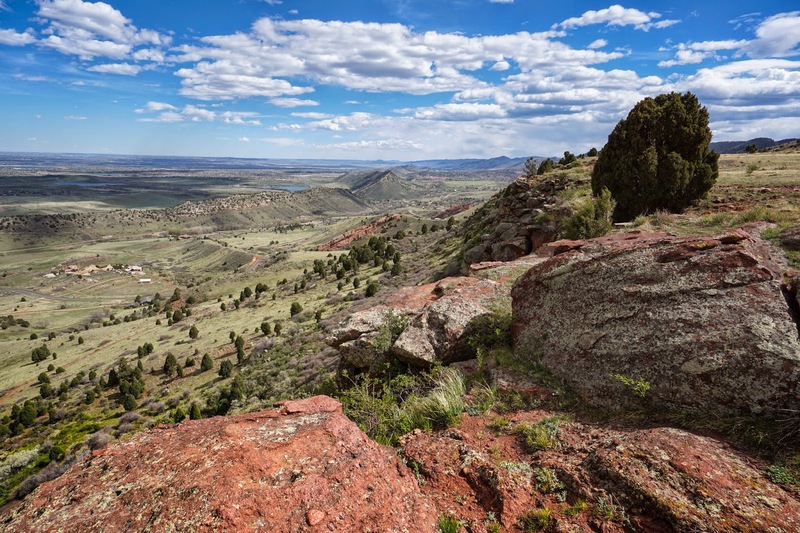 Chatfield State Park is a wonderful recreation area just southwest of Denver. 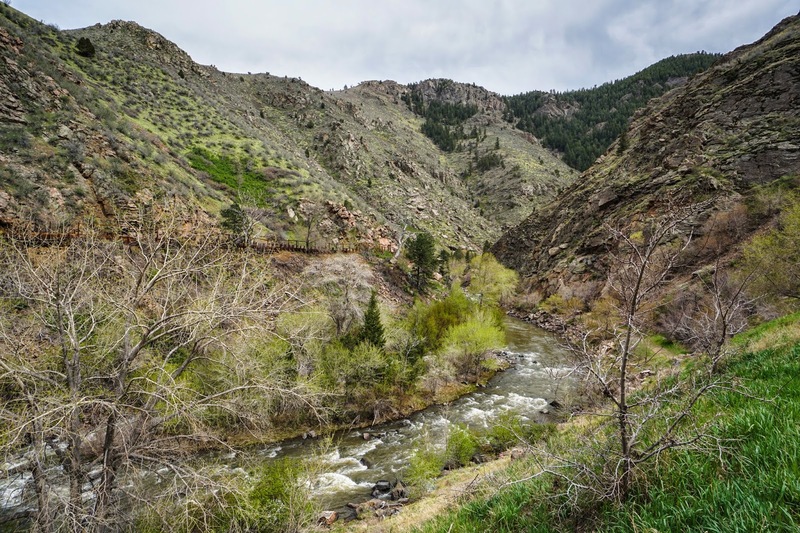 The park consists of a large reservoir feed by the South Platte River as it winds through Waterton Canyon and empties onto the plains. While the reservoir itself is utilized mostly by boaters and picnics, the park also has an extensive system of paved walking and biking trails. The park's hiking trails however, are often overlooked. The park has two natural areas with trails; the Plum Creek Area to the east, and the Audubon Discover Center area to the south. 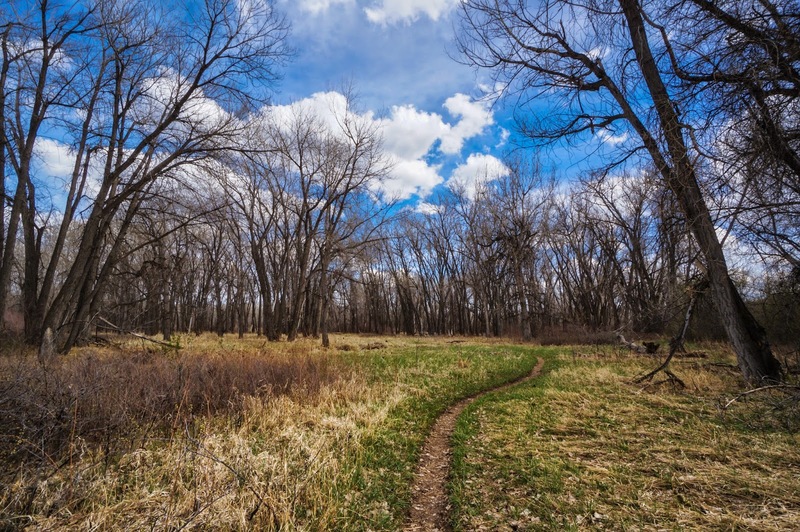 Both areas provide easy hiking across open prairie, through dense cottonwood forests, and along winding rivers. It's easy to forget that you are so close to Denver when you're wandering the forests of Chatfield. Eldorado Canyon State Park is astounding. If you want steep cliffs, rock towers, a raging river, and a short drive from Denver then this is your place. The first hike in I ever did in Colorado was the Rattlesnake Gulch Trail. 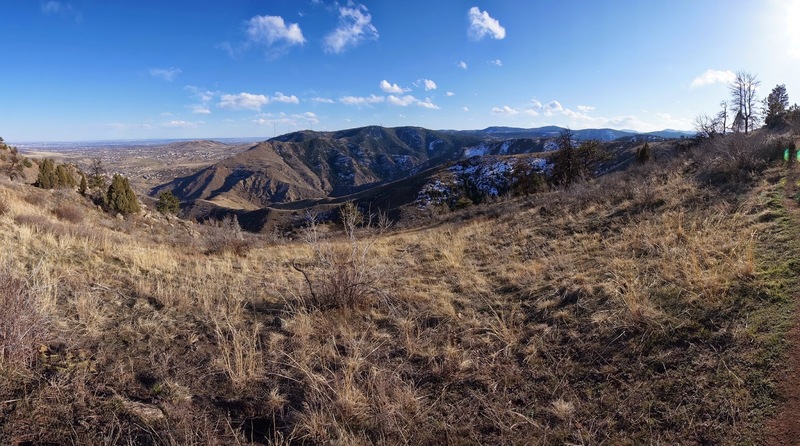 Unfortunately, the park was hid hard by the 2013 floods and the Rattlesnake Gulch trail was all but erased. The other trails in the park are now open but check their website to make sure. Apex Park is a Jefferson County Open Space Park along the foothills of Golden, just south of Lookout Mountain. It has many excellent hiking trails, lots of elevation gain, and beautiful lush forests. The Apex Trail cuts through the middle of the park going all the way up Apex Canyon. The Apex Trail is popular with Mountain Bikers but there are various loops hike extending North and South of the Canyon. Apex Park was hit hard by the 2013 floods so be sure to check the website or closures before you head out. 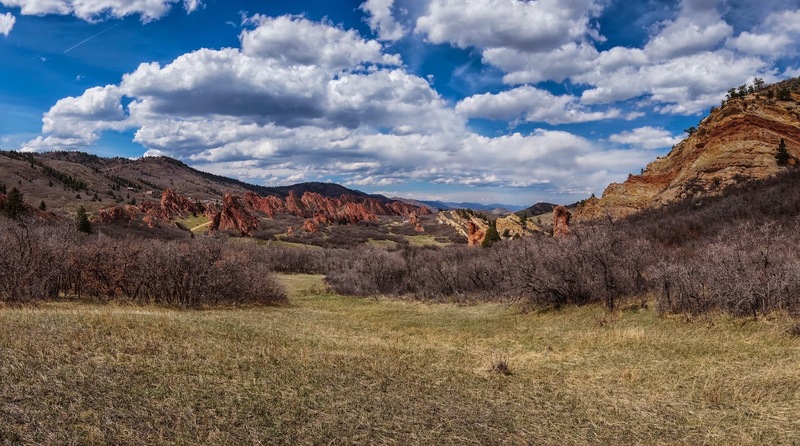 South Valley Park features the same Red Rock formations that make Red Rocks Park and Roxborough State Park famous destinations for Front Range hikers. 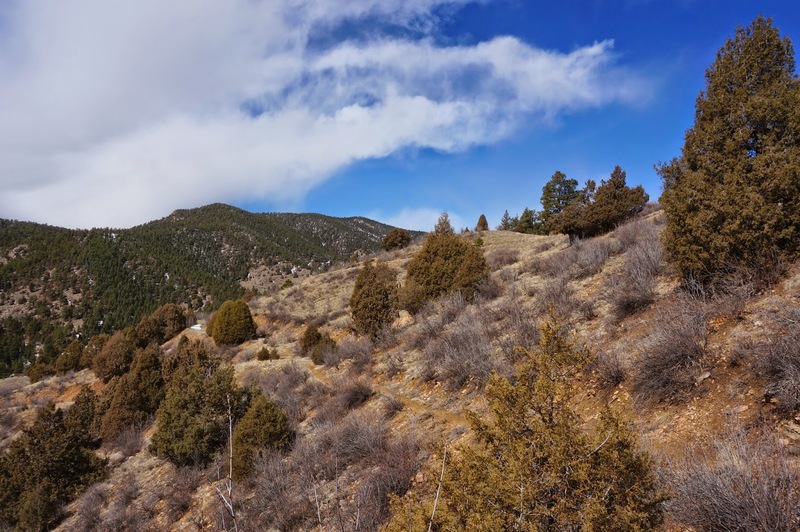 The park is situated in a beautiful valley wedged between a hogback and the Foothills just north of Deer Creek Canyon. The setting is peaceful and serene and makes for a great, quick, and easy escape from Denver, Lakewood, and Golden. 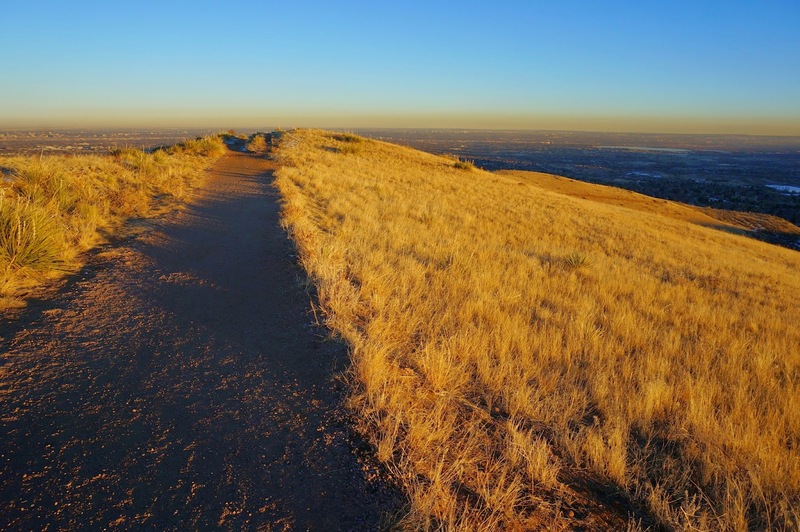 North Table Mountain Park is a hikers delight 20 minutes from Denver and just North of Golden. Almost the entire mesa is reserved for recreational use and is popular with hikers and bikers, though not as popular as nearby Green Mountain. The trails are expansive, there are many rock climbing opportunities and the park feels way more remote them it actually is. 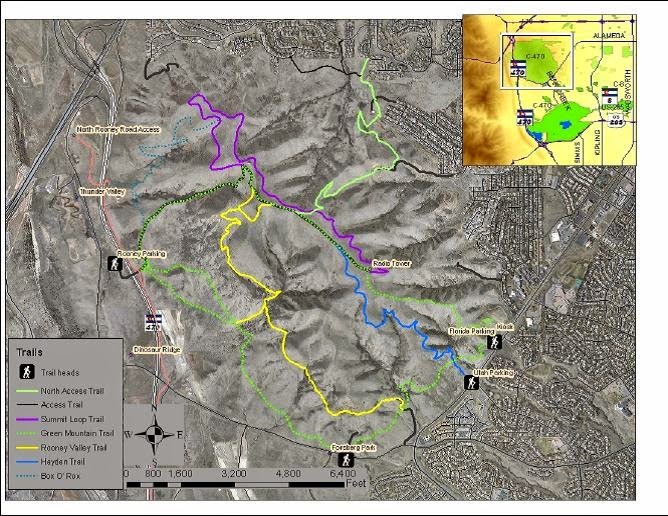 The North Table Loop Trail encircles the mesa top and there are various shorter loops that can be configured. Sunrise and sunset from the top are amazingly beautiful if your timing is right. NTMP is a real Jefferson County treasure. 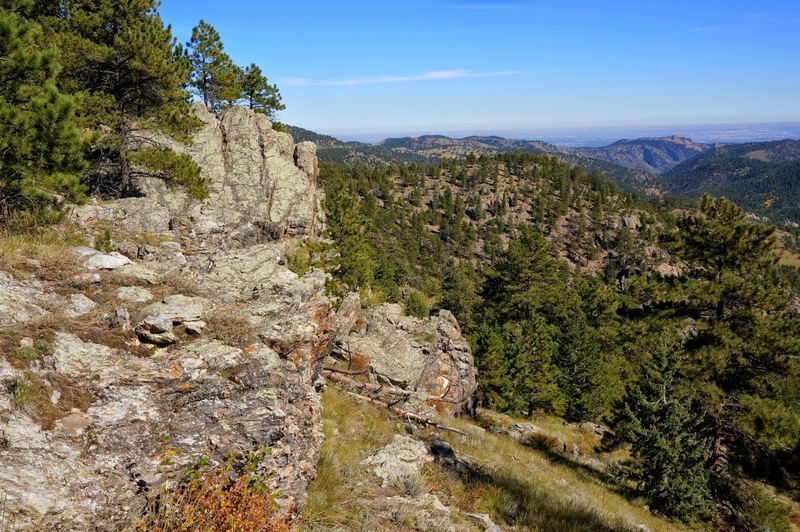 Castlewood Canyon State Park is a real treat, a bona fide hidden gem in the State Park System. Next time someone tells you that the plains are flat and boring, tell them to go check out Castlewood Canyon. 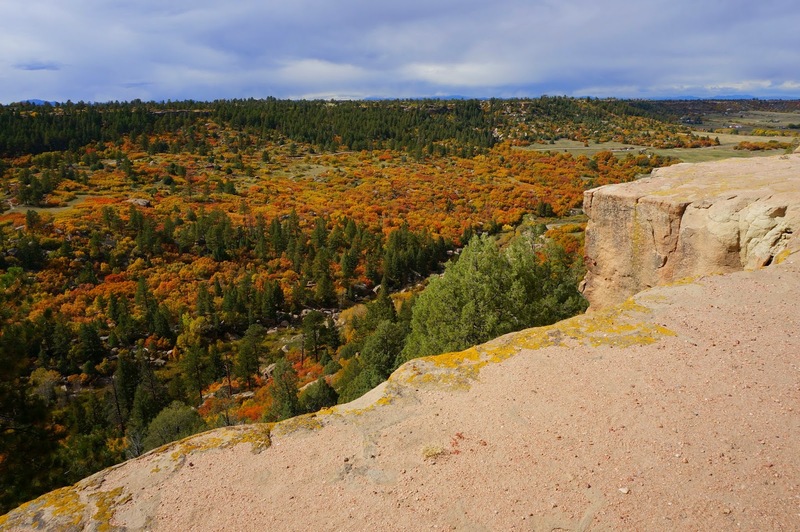 Also, this is a wonderful Fall hiking option, while the entire state is searching for Aspen groves, you can get some real color in Castlewood Canyon without all the crowds. The park has 3 canyon loops, a great visitor's center, and is terrific for kids, but adults can find real adventure here as well. It is fair to say that this my favorite hiking spot in the plains near Denver. 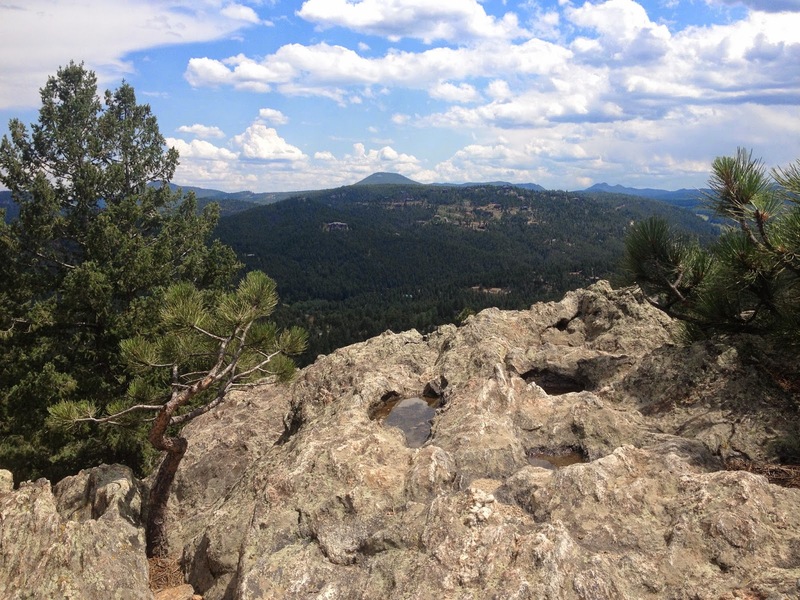 Golden Gate Canyon is a terrific park for hikers of all skill levels. There are short trails, extremely long trails, easy, hard, and everything in between. The park gets a lot of snow in the winter making it a great place for snowshoeing. The park's main attraction is Panorama Point, accessed via the road or by hiking the Raccoon Loop. The park also has picnicking, fishing, and even camping. It is a large park and you could spend a whole summer hiking these trails. 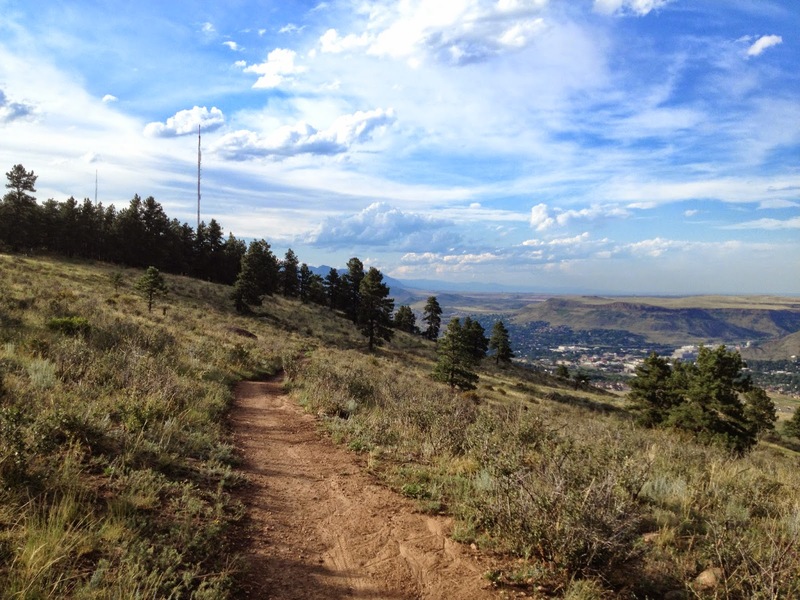 Being so close to Denver makes it a great choice for Front Range foothills hiking. 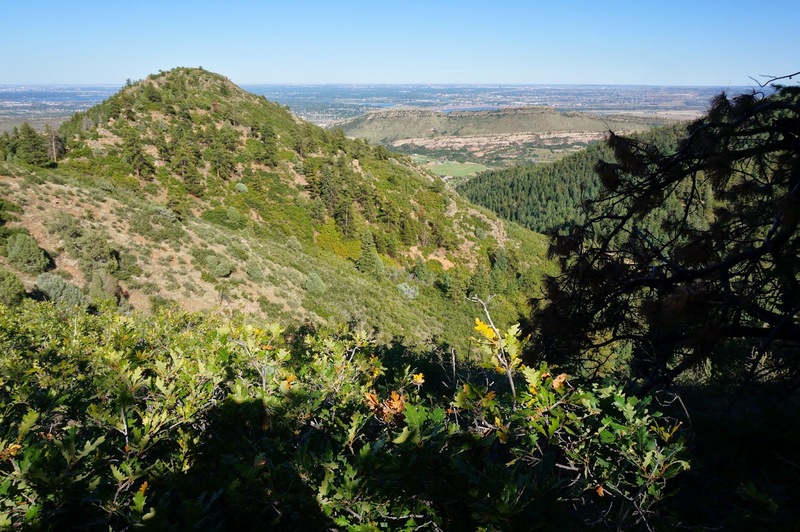 Reynolds Park is a rugged, hiker only, part of the Jeffco System. It is located down Foxton Road south of Conifer just before you get to the South Platte River Valley area (home of the Cathedral Spires). 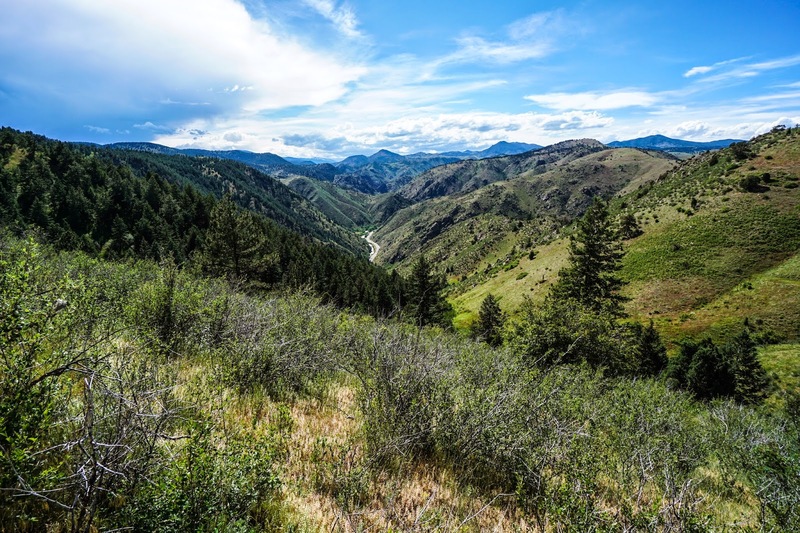 There are trails north and south of Foxton Road, the south being the more rugged hike up to Eagle's View, the north being the tamer Hummingbird Trail. Whichever side you choose, you're in for a real treat, the view of the top of Eagle's View trail is breathtaking. Mount Galbraith is a hidden gem located just west of Golden. The park consists of a loop around the summit of Mt. Galbraith, and two routes to get up to the loop. The Nightbird Gulch trail is the "secret way" accessed via a neighborhood. The Cedar Gulch Trail is slightly more popular and leaves from a trailhead with the typical amenities. Either way it's about a 5 mi trip and a terrific hike. The views north from the loop trail are fantastic, well worth the effort. Lair O' the Bear Park is nestled in along Bear Creek and between two Denver Mountain Park properties (Little Park and Corwina Park). Therefore, while the park only has one short but sweet trail, you can connect to the other parks via the Bear Creek Trail. This is a great place to take kids for a picnic and hike, or just to go for a nice short warm up hike during the shoulder seasons.